Nobody can predict future. Today’s billionaires may become beggars tomorrow. Today’s healthy body may fall sick next moment. Newly bought bungalow and car may crack down very next day due to natural calamities and other types of vulnerabilities. We can’t predict the next moment. But insurance is predictable and it will provide financial compensation to those who suffer misfortune. It gives security to human beings and property from such kind of unpredictable risks. Insurance plays an important role in individuals’ and families’ lives because it is a hedge against the loss of income following the death of an earner or loss of property. Loss of property or premature death of a family head can bring serious financial consequences because it leaves unfulfilled financial obligations for the dependents to support children’s education and to pay back the loan. Insurance is the cushion of security at such moments. Insurance policy is an agreement between two parties—the insured and insuring company—which contains details, conditions, rights and duties and liabilities. Agreement document contains the name and address of the insured, objective of the insurance, insured amount, type of policy, term of the insurance, payments, risks to be covered if misfortune occurs and so on. 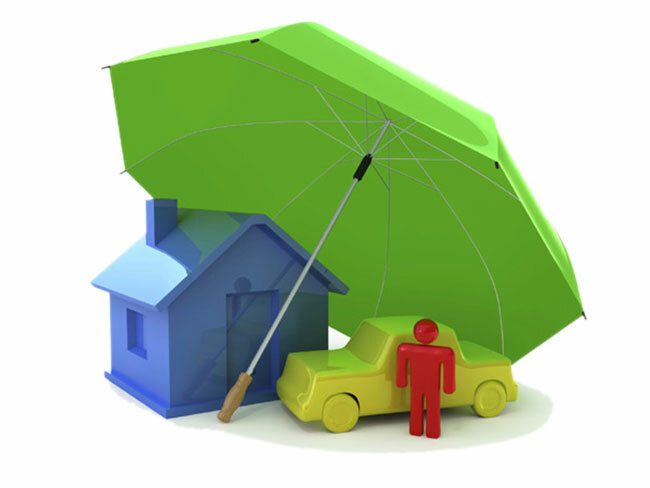 Insurance companies are regarded as the non-banking financial institutions. Their major source of income comes from premium of policy holders. Marine Insurance was the first and Fire Insurance the second in the history of insurance. Non-life insurance companies evolved later. Life insurance covers the premature death of family members and other treatment expenses which occurred during the life time while non-life insurance covers motor insurance, household insurance, engineering insurance, aviation insurance, livestock insurance etc. Conventionally insurance was considered as a cooperative form of distributing a certain risk to persons who are exposed to it. Later on it was taken as a contract or agreement in which it is agreed that a certain amount of money will be paid as compensation in case the loss or destruction occurs due to unpredictable dangers or risks. In return the insured agrees to pay certain amount as premium. In Nepal, Nepal Life Insurance Company Ltd, established in 1947, was the first insurance company. Rashtriya Beema Sansthan was established in 1967, which is the only one insurance company comprising both life and non-life insurance business under government ownership. After promulgation of Insurance Act (1992), number of insurance companies came into the scene. The 1990s is considered as golden period in the insurance business in Nepal. At present, there are altogether 27 insurance companies—eight of them provide life insurance, 17 provide non-life insurance and two offer both life insurance as well as non-life insurance. Most of them are private, few are foreign and joint venture companies. Private sector insurance comprise 72 percent share in Nepali insurance business while foreign and joint venture insurance companies occupy 12 percent. The number is increasing day by day with more than 500 branch offices across Nepal. Insurance business is creating capital fund and promoting development, growth and prosperity. They are collecting scattered saving of people in the form of premium and then investing it in the form of capital on a long term basis in development projects like housing, new plants, factories, shopping complex while also providing protection from various types of risks. They have stopped capital flow outside the country. Insurance Board has been established as an apex regulatory body to ensure transparency and proper functioning of these companies. In line with the provision of Insurance Act and Regulation, Insurance Board has adopted policy of facilitating insurance companies to invest in priority sectors. Insurance culture is yet to grow in Nepal, compared to western developed countries, where insurance business has substantially increased as a financial intermediary over the last 30 years and become one of the leading sources of investment in capital market. In the recent times, the government has brought Health Insurance Act which covers free access to Yoga, immunization, family planning, safe motherhood, out-patient care, in-patient care, surgery, medicines, emergency care, curative service, rehabilitation service among others. Individual, family, civil servants, migrant workers and private sector employees can enroll for this scheme. A four-member family has to pay Rs 25, 00 per year and the service provider provides for health treatment up to Rs 50,000 per year. Ministry of Health will collect Rs 425 from each additional member if the family members exceed four. The insurance act also provides security to the poor and marginalized. The federal government and local governments will be liable to bear insurance premium for them under the new set up. This is a good progress in Nepal’s insurance landscape. Nepal is yet to work on non-life insurance sector. Very few people are aware of these insurance policies because of poor collaboration with bank and financial institution. More awareness programs and more researches are needed. Social media, radio, television and all sorts of communicative tools need to be mobilized to disseminate insurance policy related information to the general public. We don’t have skillful and competent officials in insurance sector and we lack good provision on company insurance. This shortcoming needs to be addressed. We have small market for insurance companies. Capital or income generation problems are other challenges. Government of Nepal and insurance companies should work together to empower the insurance companies because they are contributing to GDP growth through collection of premium and have provided employment opportunities to growing number of educated youths. Insurance companies are important part of institutional investment as they invest in corporate securities as well as other collective investment schemes. We need favorable policies to let them grow further.